In partnership with ODEON BFI IMAX for the auction, 600 original props, costumes and rare production material lots will be available for bidding from more than 220 films and television shows. 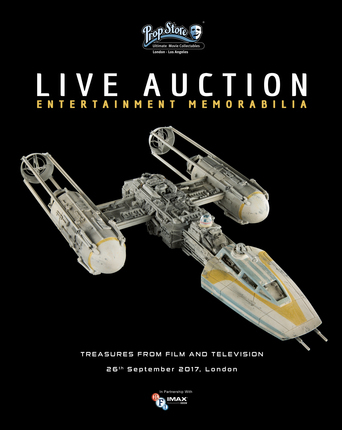 The auction takes places at the ODEON BFI IMAX in Waterloo, London on 26th September, 2017. The spectacular live event will feature an interactive webcast with bidding available online, by phone or in person. Prop Store and ODEON will also present a museum-grade, free-to-enter auction preview exhibition showcasing over 300 of the auction lots. This display, hosted at the venue for three weeks leading up to the auction, will allow visitors the opportunity to get up close with these incredible pieces of entertainment history. The catalogue is 355 pages long, made using heavyweight paper, packed with full colour illustrations and descriptions.